Caused by chemical factors of production. Industrial dust settles on the mucous membranes of the respiratory tract, and eventually it leads to the development of pneumoconiosis and dust bronchitis. Occupational diseases of this occur group in workers of metallurgical and mining industries, masons, miners, polishers. The physical factors of production, that cause occupational diseases include various types of radiation, high and low temperatures, intense noise, vibration. Vibration of mechanisms lead to the development of vibration disease, intense noise - the auditory organ diseases, high and low temperatures cause burns or frostbite. Chemical factors cause acute and chronic intoxications. Especially dangerous poisoning by salts of heavy metals, various insectofungicides, other inorganic and organic compounds. Getting in the body, even in small quantities, they are involved in biochemical reactions occurring in cells and tissues. Chemicals disrupt metabolic processes and causes structural and functional changes in an organism. Industrial toxins can enter the body through the respiratory system and skin, causing the occupational diseases of the skin and lungs. Biological factors develop infectious and parasitic diseases in individuals who have by virtue of their professional duties, contact with infected materials or sick animals. 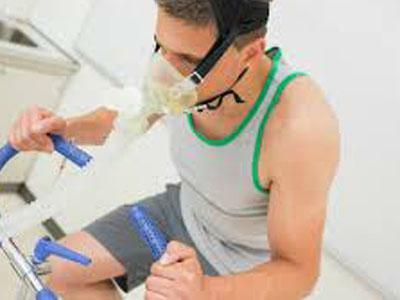 Occupational diseases are diagnosed on the basis of sanitary characteristics of the production, occupational history of the patient, the results of clinical, biochemical, and functional methods of research. Critical importance have the data of occupational history. In the employment history is necessary to find out the existence of occupational hazards, contributing to the development of the disease, the duration of their effect on the patient's body, and the use of collective and individual protection and their effectiveness. Prevention of occupational diseases includes a conducting technical and sanitary measures in the workplace. For the workers set a shorter working hours, long vacation, preventive nutrition. An important role in reducing the incidence play preventive medical examinations of workers engaged in the production of harmful production factors. When pneumoconioses the mandatory research methods are radiography, functional study of external respiration, blood test. At increased risk of vibration disease is carried out cold test, vibration sensitivity, X-ray of the spine and extremities, a common blood test.